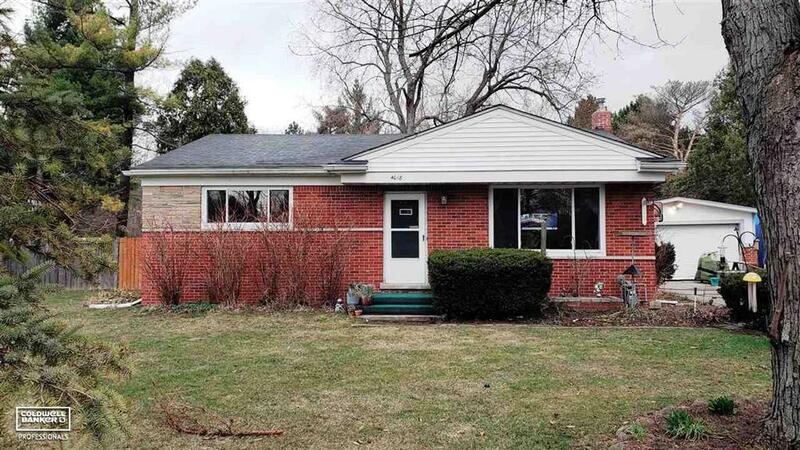 Cute and cozy, move-in ready ranch style home. Original hardwoods in living and bedrooms. Sun/bonus room addition overlooks large fenced backyard with above ground pool - perfect for gardeners and outdoor entertaining. New furnace and central air installed Jan.'18. Basement boasts lots of built-in storage with room for workshop. Over-sized 2 car garage with new siding (T111) and roof '17. Two outdoor sheds provide great space for gardening tools/kids toys and other yard machine storage. This home won't last long-schedule your appointment today! IDX provided courtesy of Realcomp II Ltd., via Coldwell Banker Professionals Port Huron and MiRealSource, ©2019 Realcomp II Ltd. Shareholders.